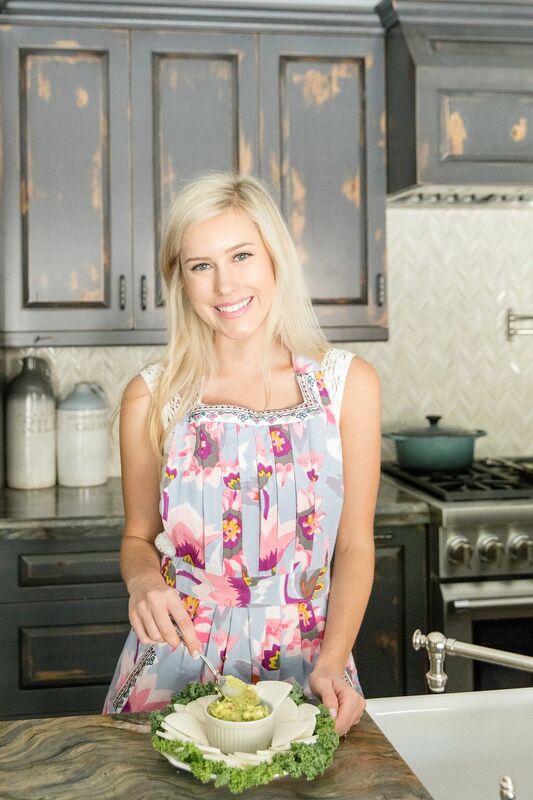 This recipe is so tasty and only takes about 20 minutes, making it a perfect weeknight meal! The trout is a touch smoke-y, garlic-y, and salty which is the perfect complement to the sweet Spanish clementines and mandarins. The dish is finished with a freshly-squeezed citrus vinaigrette and topped off with delicious creamy avocado – because the fact is, avocado makes everything better. Trout is high in protein and full of healthy Omega-3’s. Did you know your brain is made up of 60% DHA which is an omega 3?! Healthy fats fuel optimal brain function and are disease preventative. Avocado gives you a lot of bang for your buck. Not only are they a healthy source of monounsaturated fat, but they also contain gut friendly fiber (10-14 grams of fiber per avocado! ), and more potassium than bananas! Spanish Clementines and Mandarins contain a solid dose of Vitamin C and A, which support immunity, skin, and eye health. Wild Roquette provides phytochemicals, Vitamins A, K, and naturally occurring nitrates that benefit healthy blood vessels, lower blood pressure and cardiovascular health. Mix together paprika, sea salt, and garlic powder. Rub onto trout. Line a baking dish well with parchment or foil to protect the dish from the sticky citrus juices. Place trout into dish along with your mandarin, clementine, and lemon rings. Cook for 12-15 minutes or until cooked through. Meanwhile, combine ¼ cup of freshly squeezed mandarin/clementine juices, half of your lemon juiced, and ¼ cup of extra virgin olive oil and a small pinch of salt. Whisk well. 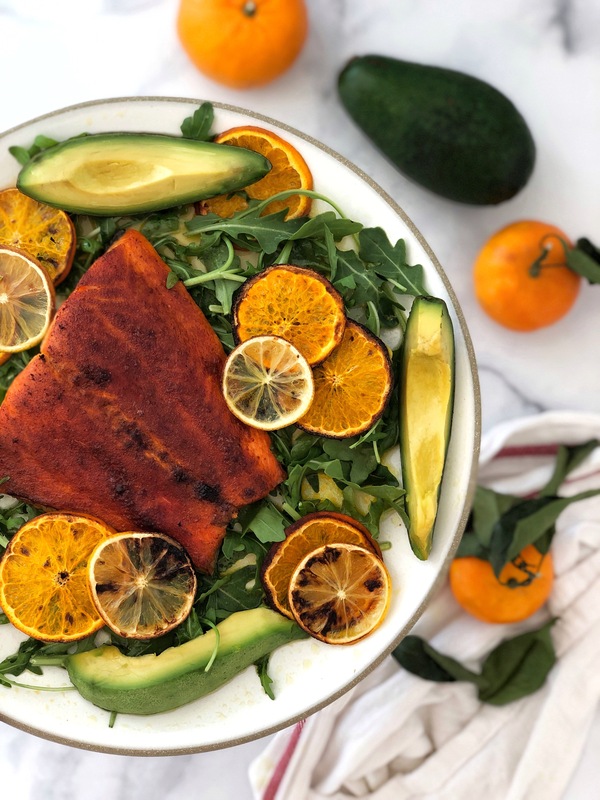 Serve trout and baked citrus on a bed of wild roquette, with any leftover fresh mandarin/clementine slices, avocado, and drizzle your vinaigrette on top. Any extra vinaigrette can be stored in the fridge for up to a week.